With May flowers in full bloom and the school year winding down, it is time to get ready for Summer Music Festival Madness. This year’s festivals have lots of pizzazz, from the serious offerings of the Carmel Bach Festival to Bear Valley’s jazz stylings and the Ojai Festival’s cutting edge. Here is a list, in no particular order. First among equals, the San Francisco Symphony will host ten out-reach style concerts in July. But even before they get there, their regular season is ramping up to summer with some hot events. This weekend, Michael Tilson Thomas will conduct the SF Symphony and magical violinist Christian Tetzlaff in Bartok’s startling Violin Concerto, along with Brahms’ Symphony No. 4, one of the pillars of Western Civilization. Then pianist Yuja Wang, a favorite of SF audiences, comes back May 22 to 25 for Prokofiev’s acerbic Piano Concerto No. 1, along with dreamy French flavorings of Faure and Debussy. Rounding out the month, guest conductor Charles Dutoit brings two fabulous programs. On May 29 the SF Symphony Chorus is featured in Faure’s famed Requiem, with gossamer chords and progressions so inevitable they are hair-raising, along with Stravinsky’s limpid Symphony of Psalms. Following that, on June 4 to 7 Dutoit leads a thrilling program of Beethoven’s Piano Concerto No. 2, starring Kirill Gerstein, and Shostakovich’s powerhouse Symphony No. 10. And then for a season finale, MTT pulls out all the stops for a semi-staged multimedia version of Britten’s opera Peter Grimes, a compelling tale with gorgeous music. These five programs are all winners, but the SF Symphony has even more on their calendar, culminating in the fun-filled month of July, where audiences can experience Pink Martini, Pixar, Abba, Melissa Etheridge and even a “Grease” sing-along (sfsymphony.org). … and then the quick flings of summer. And then there are contemporary heavyweights. The Ojai Music Festival, held yearly in the Ojai Valley 65 miles north of Los Angeles, invited Jeremy Denk, both a world-class pianist and astute writer, to program this year’s festival, held June 12 to 15 in four packed days. The performers, which include The Knights, Brooklyn Rider, Uri Caine, Jennifer Frautschi, Hudson Shad and Storm Large – along with Mr. Denk – will perform wide-ranging works by Beethoven, Caine, Haydn, Janáček, Ives, Ligeti, Mozart, Schubert, Stockhausen, and Weill, along with personal interpretations of older works. Although lodging in Ojai is both pricey and iffy for June, there is still time to snag campsites at the nearby Wheeler Gorge Campground. Or one could wait one week for Ojai North, when the festival reprises highlights in Berkeley thanks to their three-year-old partnership with Cal Performances (ojaifestival.org). The other long-running showcase for contemporary orchestral work is Santa Cruz’ Cabrillo Festival. This season, their 52nd, lists a roster of influential composers of our time, including John Adams, Jennifer Higdon, Michael Daugherty, Clarice Assad, Brett Dean, and Dylan Mattingly. Among featured performers are banjo player/composer Béla Fleck, sax star Timothy McAllister, and legendary violinist Nadja Salerno-Sonnenberg, along with string trio Time for Three. 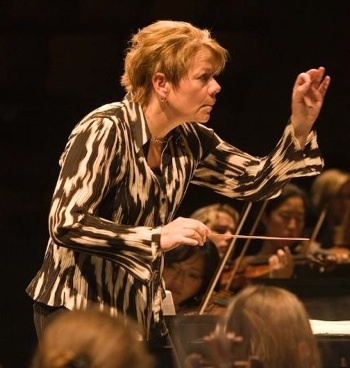 Marin Alsop will lead the festival on two weekends, August 1-3 and August 9-10, buttered up with free open rehearsals and lectures and informal talks during the week (cabrillomusic.org). For superlative chamber music, one need look no farther than the Peninsula’s Music@Menlo Festival, now in its twelfth year, as the product of the artistic genius of pianist Wu Han and cellist David Finckel. This year’s series of concerts, themed on Dvořák, will consist of eight concert programs, four formal lectures, and a series of Café Conversations and Cart-Blanche concerts, along with free “Prelude Performances” by participants in Music@Menlo’s Young Artists Institute. 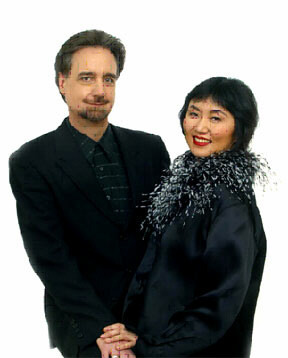 Held from July 18 to August 9, this is truly an apex of the festival format (musicatmenlo.org). Closer to home, our West Edge Opera is having their first summer festival with three simultaneous operas rotating in Berkeley’s Ed Roberts Campus, from July 26 to August 10. Puccini’s La Bohème, Philip Glass’ Hydrogen Jukebox, and Jake Heggie’s The End of the Affair will all benefit from artistic director Mark Streshinsky’s creative bent and conductor Jonathan Khuner’s formidable knowledge and knack for accessibility (westedgeopera.org). For the odd combination of sheer elegance and wanton pleasure, there are two more festivals that have it sewed up. From July 11 to 20, the Festival del Sole combines Napa Valley’s choicest wines and chefs with big names, including fabled violinists Joshua Bell and Pinchas Zuckerman. But this year there is some extra glitter, with the Sphinx Orchestra and Virtuosi, a group of renowned African American and Hispanic musicians who have gathered from major orchestras across the country (festivaldelsole.org). Music in the Vineyards, held all the weekends of August, likewise combines top musicians with posh wineries, but geared towards chamber music. The esteemed Escher and Pacifica Quartets both headline, along with violinist Axel Strauss and soprano (and Met darling) Dawn Upshaw. Not surprisingly, some shows are already sold out (musicinthevineyards.org). And lastly, here are two festivals imbued with fun and nature, the Mendocino and Bear Valley Music Festivals. 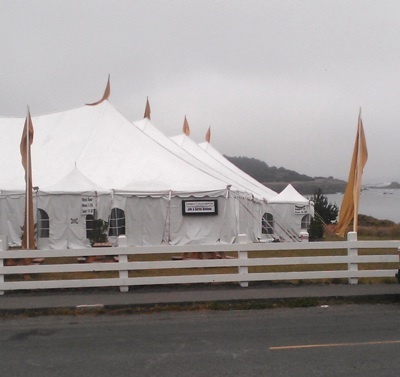 The quaint town of Mendocino hosts a sizable festival on their headlands overlooking the Pacific. Both festivals cater to a wider musical palette, with crossover, jazz and classical fusions. The Mendocino Music Festival, running from July 12 to 26, will fully stage Mozart’s great opera, Don Giovanni, along with several classical concerts. Of particular note is the concert on July 23, with Sibelius’ yearning Violin Concerto and Rachmaninov’s steamy Symphony No. 2. One can get a sneak peek at a preview at the Berkeley City Club, on Wednesday, May 28 at 8:00 p.m. In addition to older works well done, there will be plenty of bluegrass, blues, jazz and improv fun (mendocinomusic.org). For those with serious musical wanderlust, you can’t go wrong with Bravo! Vail, the July home of the NY Philharmonic, or Aspen Music Festival, another crowded Colorado mountaintop. And one wouldn’t want to miss Moab, Banff, Ravinia, or Tanglewood! Who knew? Better pack light. 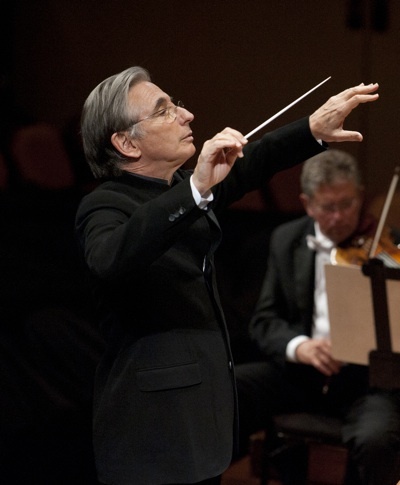 Photos, from top: Michael Tilson Thomas (photo by Stefan Cohen), Jeremy Denk (photo by Classical Artists, Inc.), Marin Alsop conducts at Cabrillo, David Finckel and Wu Han, creators and co-directors of the Music@Menlo Festival, and the large tent on the Mendocino Headlands, site of the Mendocino Music Festival.